When my kids were little, we celebrated July 4th or Independence Day with all the pomp and pageantry it deserved; cook outs, barbeques, desserts galore, and the trip down to the waterfront to enjoy the fireworks and other entertainment organized by the village. We invited friends and neighbors over, and it was one of the few times we had several members of a family in one room. The kids loved the chance to run wild with their friends and all was well with the world… But what did it all really mean? Those gatherings reminded us of the importance of our personal freedom; our right to congregate and enjoy a meal with others without feeling as if we were under siege. We didn’t have to worry about living in a war zone, enduring food rations or any of the proverbial spoils of war. In this regard, we are fortunate in America, and we must remember to treat this day with reverence and gratitude for the Freedom and Peace we enjoy. Now that the kids are older, we don’t celebrate in quite the same way. We have a small family affair and may/may not invite a few friends over. It is still a happy occasion but different. As a matter of fact, this year, for America’s 235th birthday, we plan to celebrate the day quietly with a focus on offering prayers for peace; personal, national, and global peace. Peace is a term most don’t spend much time thinking about until they are on the verge of losing it or when all is lost to strife and war. Living in a democratic nation means we are protected from chaos and anarchy, and enjoy other protections under the law… I think it is important to remember on this day the value of our freedom, our independence and our history. 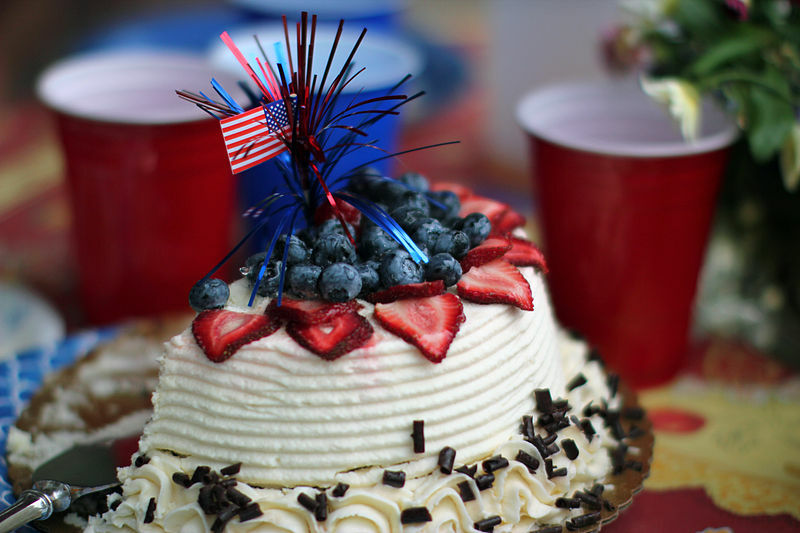 Enjoy your meals and have a terrific July 4th celebration! More below! 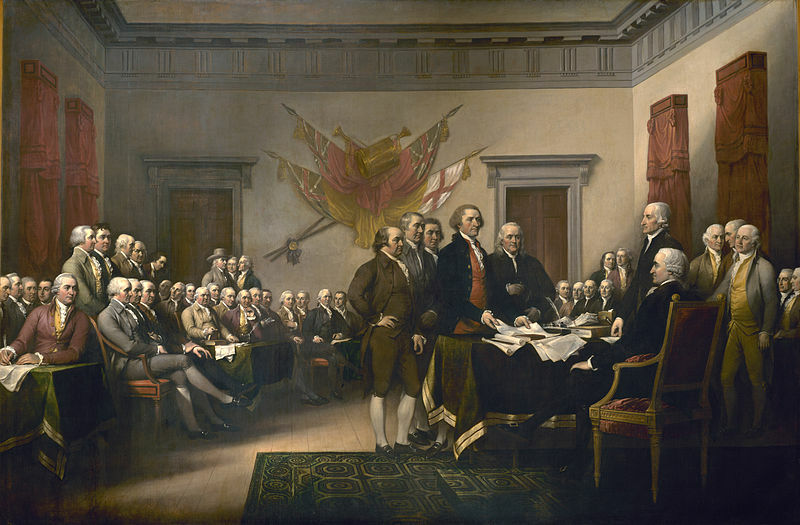 Reflections: On A Happy Fourth of July… The signing of the Declaration of Independence. Below is a summary or an amended portion from the Declaration of Independence. All men are created equal and there are certain unalienable rights that governments should never violate. These rights include the right to life, liberty and the pursuit of happiness. When a government fails to protect those rights, it is not only the right, but also the duty of the people to overthrow that government. In its place, the people should establish a government that is designed to protect those rights. The colonial governments tried to reach a peaceful reconciliation of these differences with Great Britain, but were continually ignored. Colonists who appealed to British citizens were similarly ignored, despite their shared common heritage and their just cause. After many peaceful attempts, the colonists have no choice but to declare independence from Great Britain. The new nation will be called the United States of America and will have no further connections with Great Britain. The new government will reserve the right to levy war, make peace, make alliances with foreign nations, conduct trade, and do anything else that nations do. Every nation deserves the same inalienable rights… Enjoy yours. Happy 4th to YOU! Happy Independence Day! Stay Inspired! What are your thoughts? What does July 4th mean to you? What are your celebration plans? What do you do differently? Do share! Thank you. Positive Motivation Tip: Be happy for the blessings of the 4th and celebrate. PHOTO CREDITS/ATTRIBUTIONS: All Photos July 4th Cake, Declaration of Independence via Wikipedia, and Peace poster from my Personal Collection. ← Musings: Waiting To Be Happy…? Always thoughtful and thought-provoking, Elizabeth. Thank you! Sending you blessings for the day! Happy Independence day from the UK. Happy July 4 from south-east England. joyeux 4 juillet ! et je me joins à toi pour cette prière pour la paix mondiale ! TY for the re-blog and sorry for the delayed reply… I’m fighting a bad summer cold. Ugh! I don’t know if it is just getting older or if times have changed, but I know the people in my life celebrate it differently than we used to, without as much fanfare. Maybe it has just become a more thoughtful day since 9/11. On a lighter note…the cupcake looks incredible! Funny how celebrations change when the kids get older. have a happy 4th Eliz! Have a great and safe 4th Elizabeth! Happy independence day Elizabeth! As much as we crib about all that is wrong with our countries and governments, the fact that we have the freedom to crib is a blessing we ought to remember. Yes it is indeed Madhu! Such freedoms should not be taken lightly. Happy Independence day! Love that quote about peace. Excellent post and so thoughtful. I have thought hard about freedom today and often wonder and hope that it will remain. There are many things threatening our freedom which concern me. Our use of torture, our assistance in war and misery, the right to marry, and our rights to privacy. I also get concerned about our recent setback on immigration as weren’t we a country founded on immigrants and the freedom to follow the American dream? Will this dream remain for our children, grandchildren and future generations? Or will it be sacrificed. I think until we travel and see what we have, we truly don’t understand the meaning of freedom especially for a woman. Great post and reminder to never sacrifice our rights or let our guard down. A post as amazing as the fireworks in a clear Summer night sky. Happy 4th of July. May we always celebrate the freedom we were given with passion, respect and joy. Thanks for sharing. 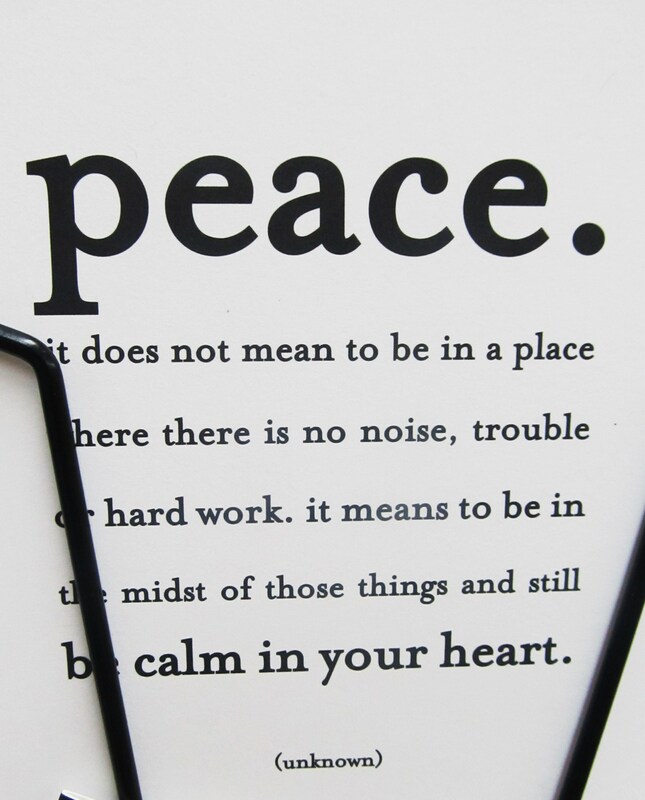 I like that quote about Peace.
. . . and still have calm in your heart. Thanks for the peace quote. Thank you for your keen eye. I thought all would miss it. I like it to. Great post. I like the comment about peace. I hope the discourse about our freedoms and liberties will move forward instead of going ’round and ’round. If not, I’m hoping our children will galvanize and force the change one day. I do hope it would move forward too…. We’ve spun around in circles too long. Time for a swift move. Hah!ha! Hope you had a wonderful 4th of July full of peace and joy! Thank you for your kind words and be blessed. Happy 4th of July!!!! Better late than never! Happy 4th Liz! A very thoughtful expression of what we should all be thankful for and what we should all strive to maintain for the future. It’s July 4h and Happy Independence Day for you and family. I think simplified and silent celebrations are better because it’s more intimate. I’m glad you think so… It took a while to get there and, honestly, it’s alright to do the party and fireworks too. Lovely post Elizabeth! You are leaving a great legacy for your children, one that everyone could benefit from. Happy Fourth to your and yours! Thank you for your kind words… I am grateful for the opportunities that have come my way in this great country. Thank you for your feedback. Hope yours was fun too!